Our herbs are available at leading garden centers. For a list of HH stockists click on our ‘Location Guide’ on the left hand side of our navigation menu. Herb & Vegetable Gardening for Gardeners. Herb Herbert are specialists in herb gardens and gardening. We have an extensive range of potted herbs including common Kitchen, Medicinal, Insect Repellent, Herbal Tea; Fragrant Herbs, plus Gourmet Vegetables and other specialist lines. Extensive free consumer herb and vegetable gardening information is available. 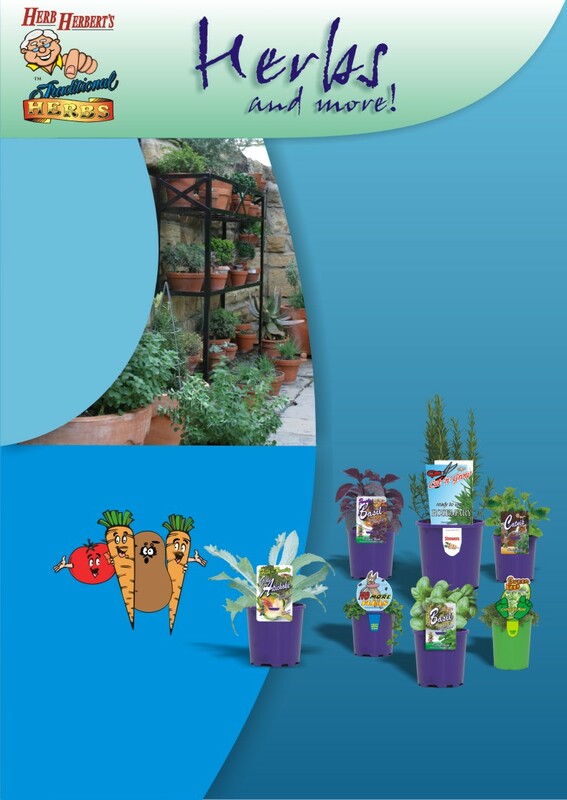 Free fact sheets and handy hints with valuable tips for successful herb gardens, planting vegetables and vegetable gardening in general are also available. Potted herb and vegetable gardening is becoming increasingly popular as people are now wanting a garden that is practical and in many cases, a garden in pots on their patio that doesn’t use much water. This is also a great way of growing vegetables in a small backyard.